This article is about the television series. 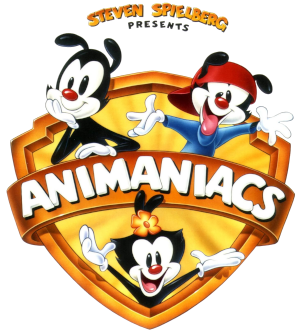 For the Tiny Toon Adventures episode of the same name, see Animaniacs! (Tiny Toons episode). For the video game, see Animaniacs (video game). Volume 1 25 July 25, 2006 (2006-07-25) This five disc box set contains the first 25 episodes from season one. Includes the featurette "Animaniacs Live! ", where Maurice LaMarche hosts an interview via satellite TV with Animaniacs voice actors, writers, and composers as they comment on the show. Volume 2 25 December 5, 2006 (2006-12-05) This five disc box set contains the second 25 episodes (26–50) from season one. 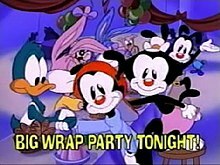 Includes the featurette "The Writers Flipped, They Have No Script", where Maurice LaMarche leads a gathering of writers on what their favorite Animaniacs episodes are that they wrote. Volume 3 25 June 19, 2007 (2007-06-19) This five disc box set includes the last 15 episodes (51–65) of season one, all four episodes of season two, and the first six episodes of season three. 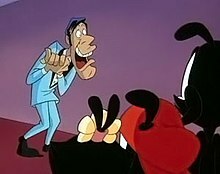 Includes two featurettes: "They Can't Help It if They're Cute, They're Just Drawn That Way": Production commentary from the character designers, storyboard artists and art directors of the series; and "They're Totally Insane-y: In Cadence with Richard Stone": A discussion on the music of Animaniacs and a tribute to the late composer Richard Stone. Volume 4 24 February 5, 2013 (2013-02-05) This three disc box set contains the final 7 remaining episodes of season 3 (76–82) and all of season 4 (83–90) and 5 (91–99). No bonus features are included.